The EOS Global Hackathon series is a first-of-its-kind event in the world of blockchain that serves Block.one’s goal of supporting a decentralized global community from the ground up. Block.one have put up $1,500,000 USD in prizes across 5 events for the best projects utilizing EOS.IO blockchain technology. 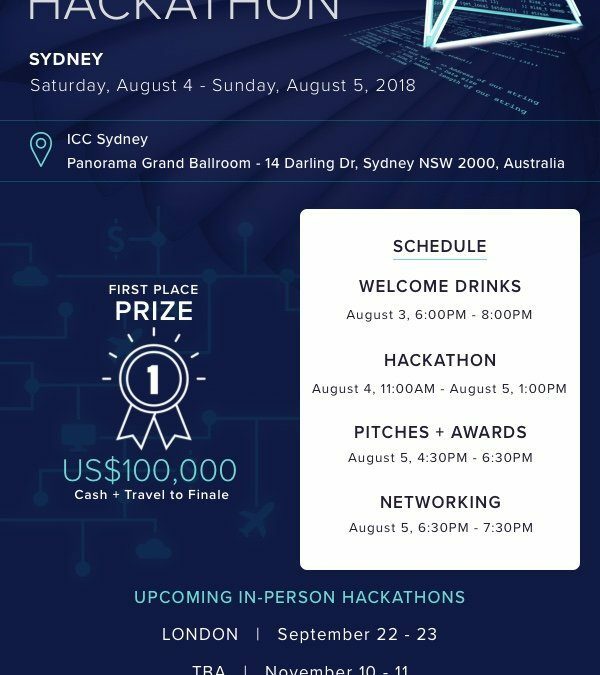 It was great for Team GenerEOS to take part in the EOS Hackathon on the 4-5 August 2018 in our home town Sydney, Australia. Nathan, Remple from team GenerEOS also helped out as a mentor in the hackathon and participated in helping hackers get develop their projects. Tom, Tai and Ralf from Team GenerEOS also formed 2 teams to participate in the hackathon. They were able to bring together EOS and general hackathon enthusiast to build 2 projects together. The challenge was annouced on the 1st day of the hackathon, “Hack the Outback” where teams were to come up with blockchain solutions that would take sustainability problems in Australia. Here’s a look at one of the GenerEOS teams in action! We had a great time and are already making plans to head over to the London EOS Hackathon on the 22-23 September.